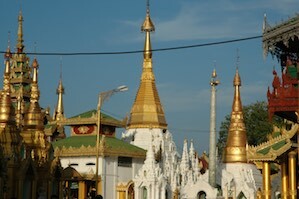 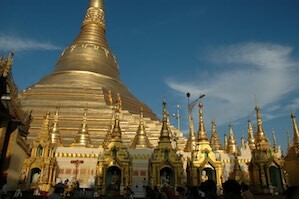 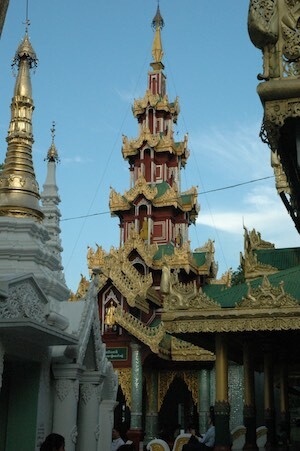 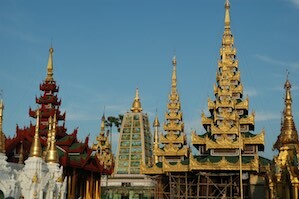 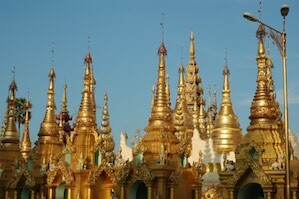 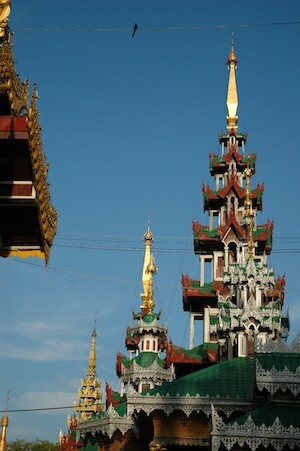 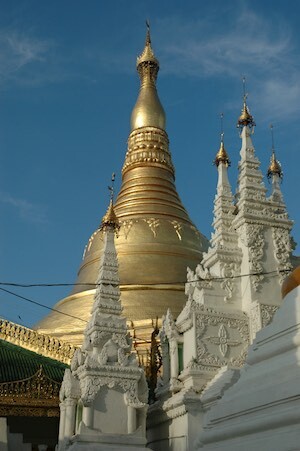 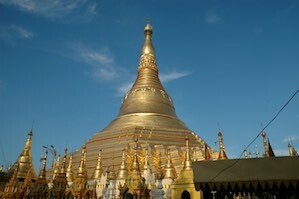 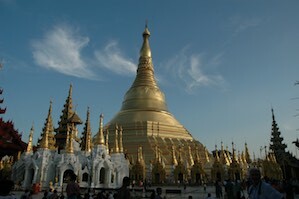 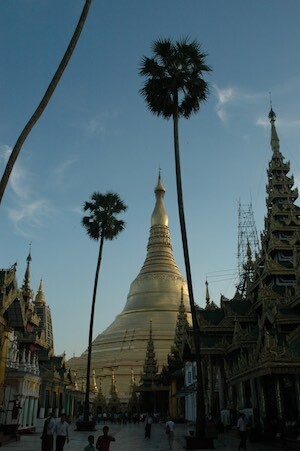 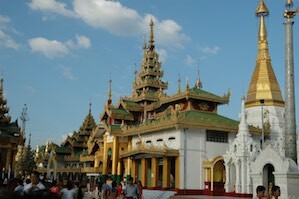 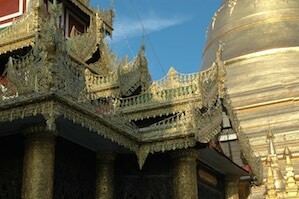 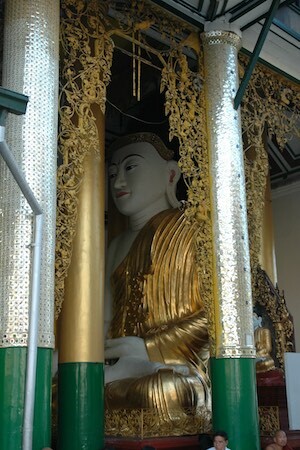 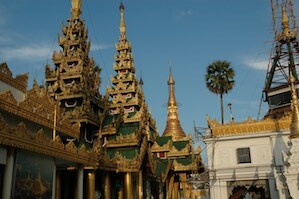 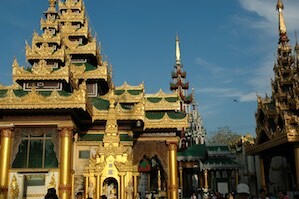 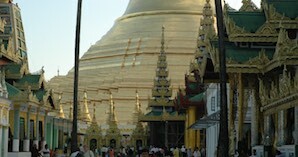 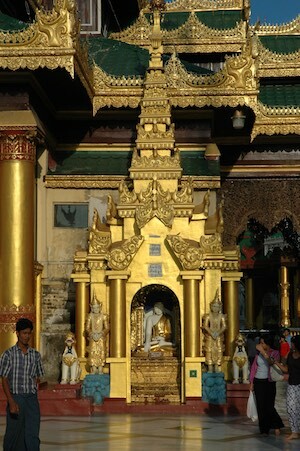 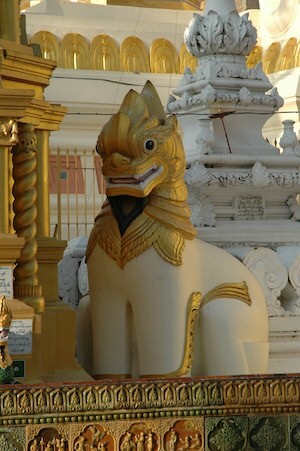 The Shwedagon temple is one of the enduring symbols of Burma, and until recently no building in Yangon was allowed to be taller than its 99 meter height. 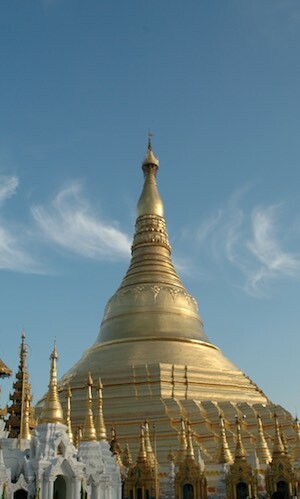 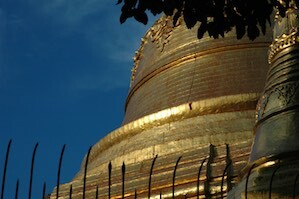 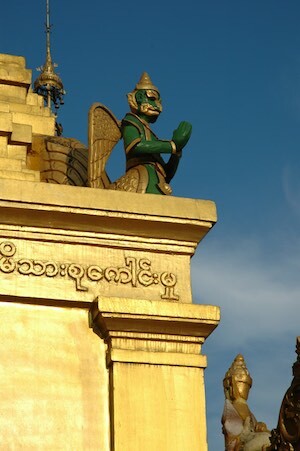 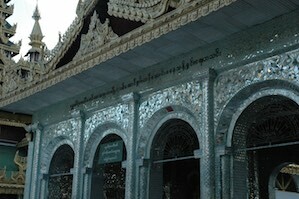 It is the most sacred site in Burma, believed to contain relics from the last four Buddhas, including 8 strands of hair from the Gautama Buddha. 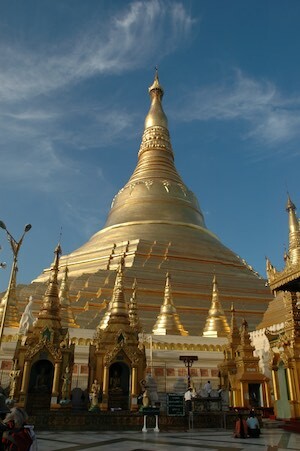 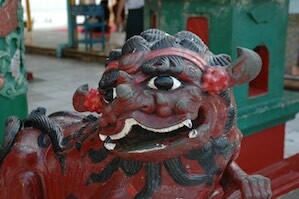 Although legend states it was built over 2000 years ago, more likely it was built between the 6th and 10th centuries. 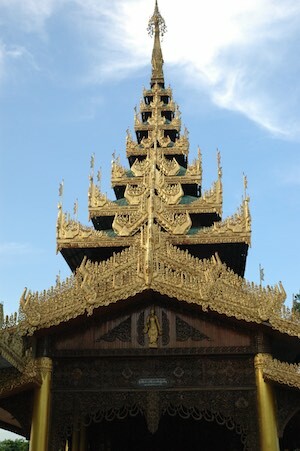 It underwent damage and neglect, but was restored in the 19th century to its current glory. 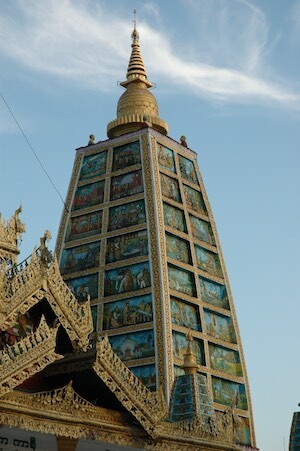 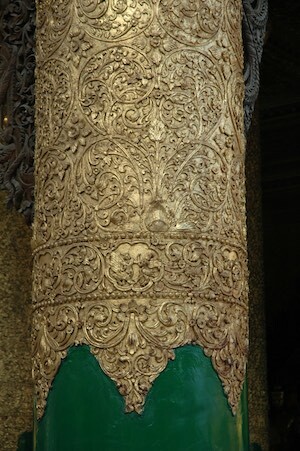 The base is covered in gold plates, and the crown contains thousands of diamonds and rubies. 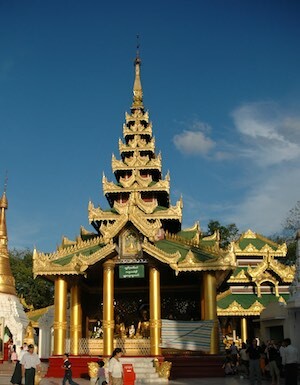 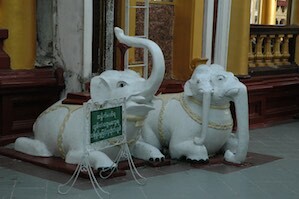 It is beautiful, lovingly maintained and scrupulously cleaned, and is a place of great peace.